Bureaucratic spin won’t save F-35 pilots being killed in any future conflict involving the latest Sukhoi variants. The F-35 will share the same skies as the new Su-35S. Despite that, the Pentagon and Lockheed Martin prefer to pretend this superior adversary does not exist and spins the F-35 air to air performance based on comparisons to obsolete aircraft. 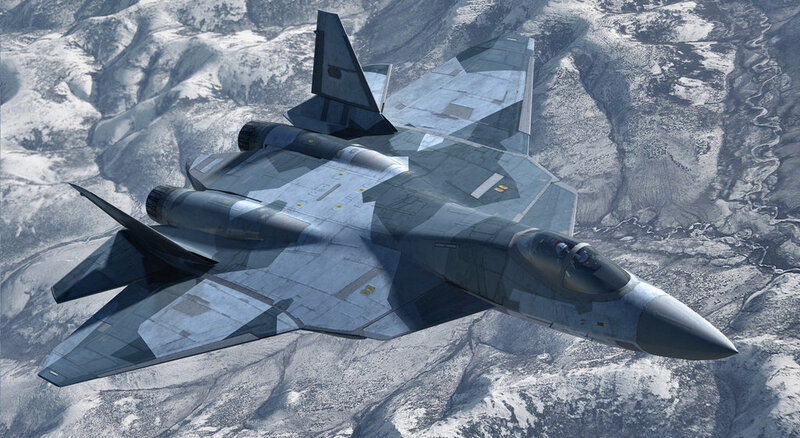 Lets not even mention the PAK-FA which will be fielded well before the end of the decade, a vastly superior aircraft to the JSF and perhaps equal or better to the F-22. Criticism of poor air to air performance by the F-35 has been dismissed by the Pentagon and Lockheed Martin. 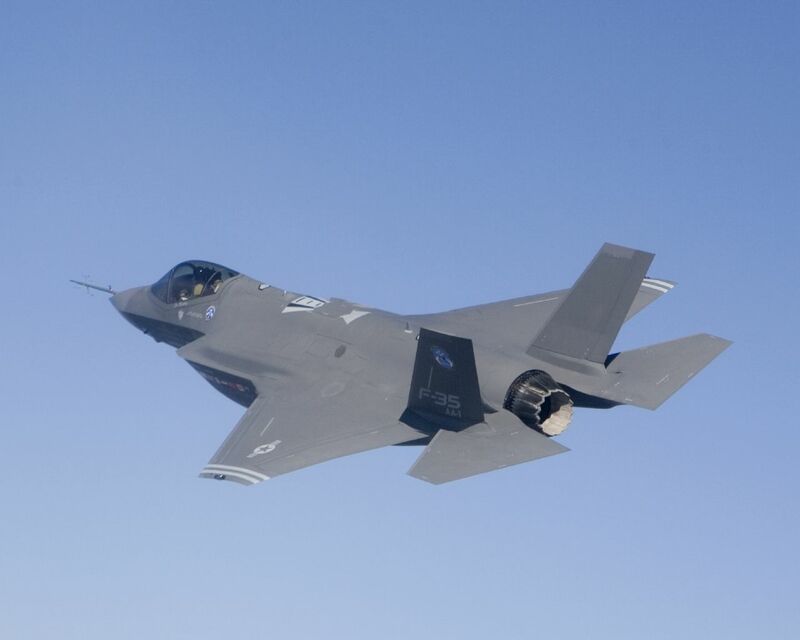 The governments bureaucratic spin states the USAF has conducted an analysis of the F-35's air-to-air performance against all 4th generation fighter aircraft currently available, and has found the F-35 to be at least four times more effective. Note they state 4TH GENERATION CURRENTLY AVAILABLE. They conveniently neglect to mention the latest Su-34 and Su-35S aircraft which will share the same skies. 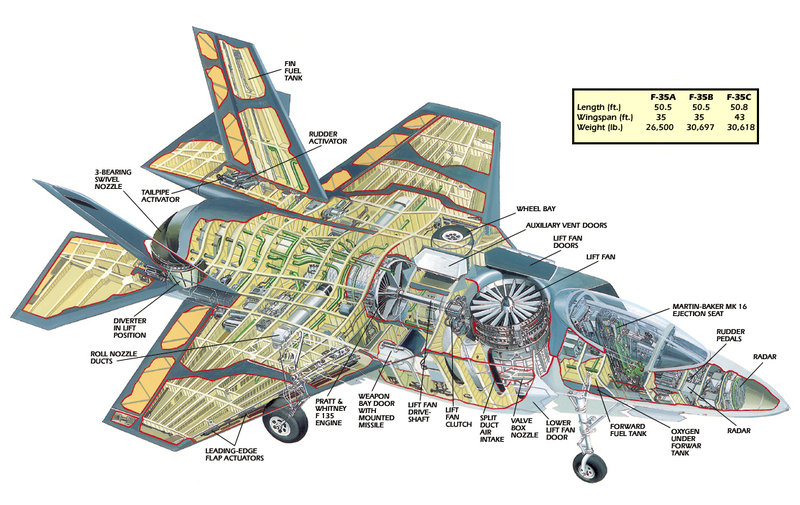 Is the F-35 a huge waste of money and would it have been better spent on more Raptors? We go where the Pentagon is scared to venture. NEWS: Israel approves purchase of 20 F-35 Joint Strike Fighters. The Israeli government has tentatively approved the purchase of 20 F-35 Joint Strike Fighter aircraft. Read more. Lockheed Martin Corp. has received a $522 million contract from the U.S. Defense Department related to its production work on the F-35 Joint Strike Fighter. 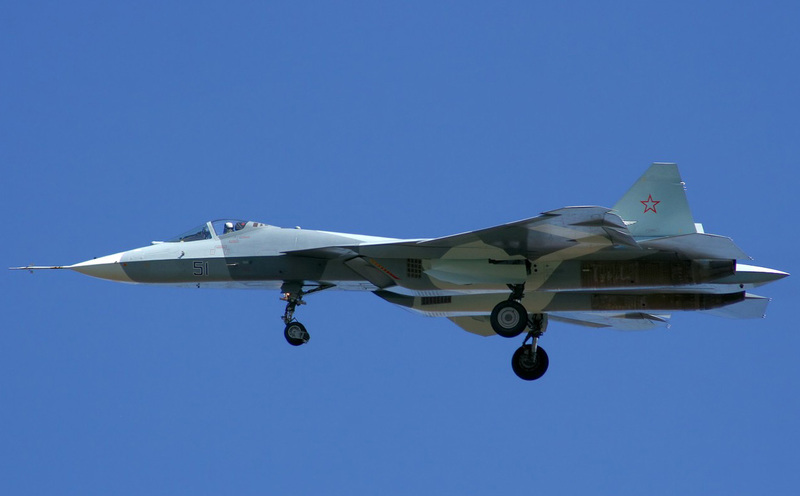 The award, announced early July, provides "long-lead" funds to pay for materials and supplies involved in making the next production order of the advanced, stealth fighter jets, the Pentagon said. Terms call for Lockheed to make another 42 of the radar-evading aircraft, including 22 conventional versions for the Air Force and 13 short-takeoff/vertical-landing versions for the U.S. Marine Corps. Another seven carrier-version F-35s will be built for the Navy. This latest low-rate production deal for the F-35 comes amid renewed Pentagon pressure on Lockheed to cut costs in the program, which has been plagued by overruns. Lockheed has promised to reduce the program's costs by 20 percent. The company hopes to reach full-rate production of 200 planes a year within the next five years. Ultimately, Lockheed hopes to build as many as 4,500 F-35s for the U.S. and its allies, though the total may ultimately fall far short of that because of constraints on U.S. military spending. The original design brief for the JSF was that the F-22A would clear the airspace in any future conflict and deliver air dominance, making it safe for the Joint STRIKE Fighter to operate and deliver follow-up strike capabilities. With the F-22A Raptor program being terminated and insufficient aircraft to deliver air dominance, this role is now being assigned to the F-35 JSF. 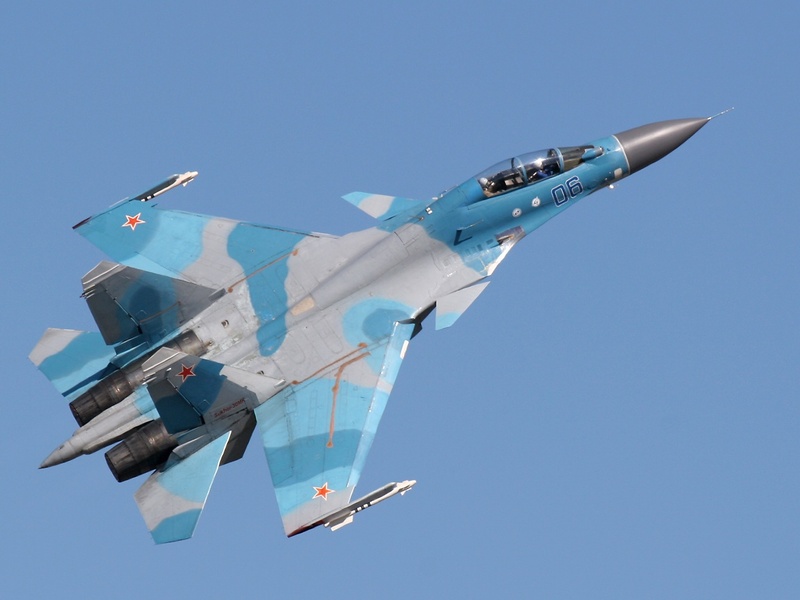 Official arguments designed for consumption of the masses less educated in aircraft combat technologies, focus on combat effectiveness against top foreign fighter aircraft such as the Russian Su-27 and MiG-29. 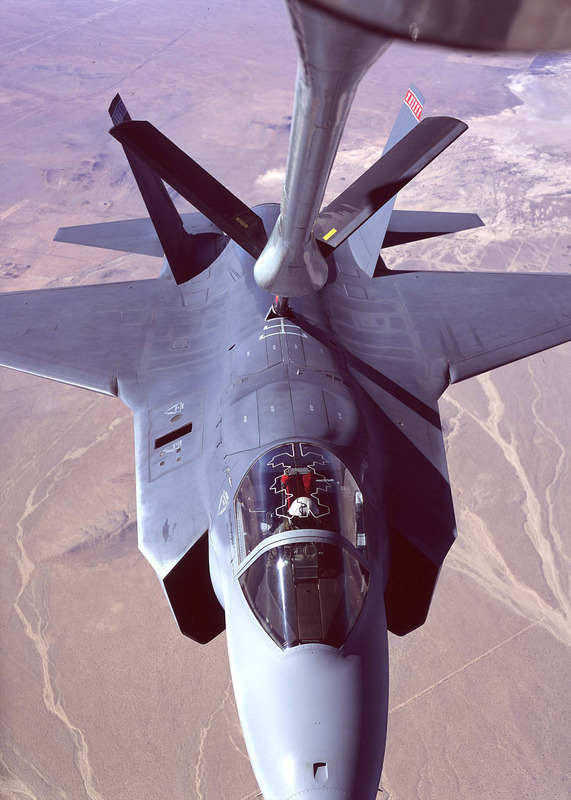 Lockheed Martin and USAF analysts put the loss-exchange ratio at 30-1 for the F-22, 3-1 for the F-35 and 1-1 or less for the F-15, F/A-18 and F-16]. 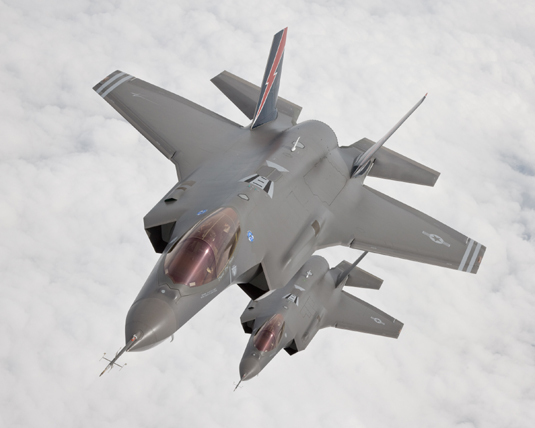 The question that really needs to be answered is how will the F-35 JSF perform against modern fighters like the Su-35S? In simple terms air combat is the process of adversary aircraft approaching, engaging in combat and the survivors departing. This activity can be broken down to a series of events called a ‘kill-chain’ with the following stages: ‘Detect-Identify-Engage-Disengage-Destroy’ (DIED2). F-35A JSFs would enter this kill chain each armed with four AIM-120D Beyond Visual Range (BVR) missiles and a 25 mm GD ATP GAU-22/A cannon. No additional weapons or fuel are carried because they compromise the JSFs' “low observability” to X-Band radar. 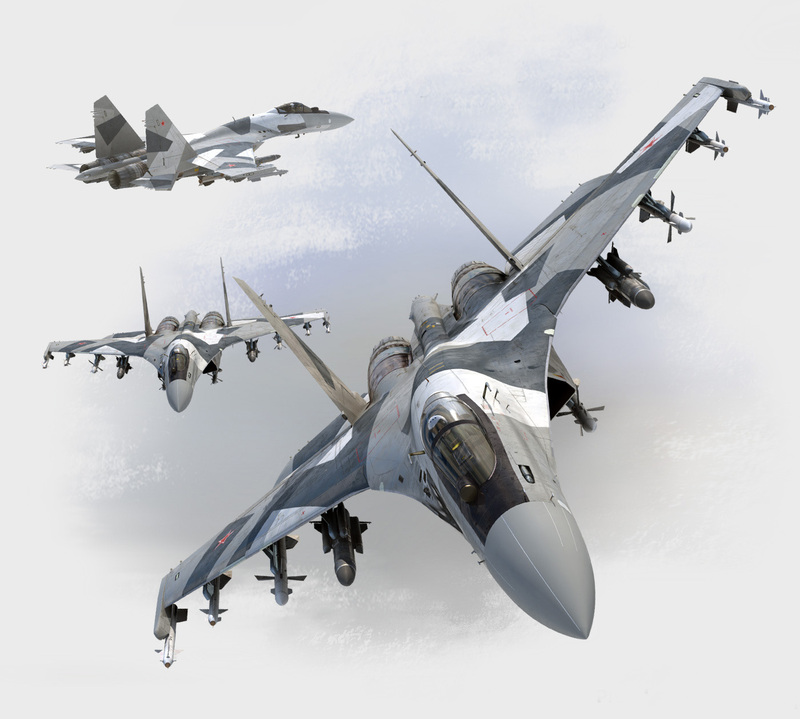 The Russian Su-35S, enter the kill chanin armed with four RVV-SD Active Radar Seeker BVR Missiles, four RVV-SD Infra-Red (IR) Seeker BVR missiles, two RVV-MD Within Visual Range (WVR) missiles, the 30mm GSh-301 cannon, KNIRTI SAP-518 jammers on the wingtips and a 6,000 litre conformal tank between the engines. Each aircraft has the full range of sensors and countermeasures. "It takes no Einstein to see that from the get-go, things are not looking good." 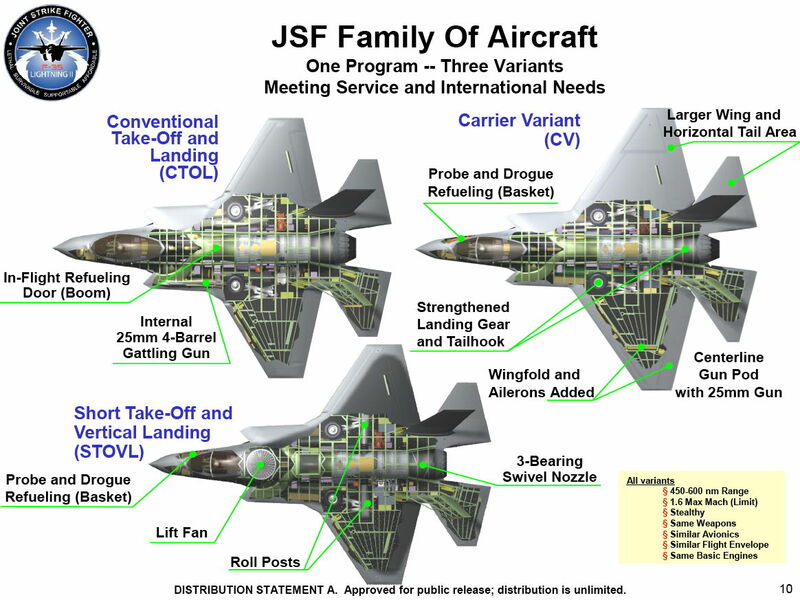 Theoretically the JSF should have an advantage in being able to launch BVR undetected. This might be true for 90’s model Su-27 and MiG-29’s but not for the Su-35S. This is the primary sensor for jet fighters. The radar cross section of the F-35A is substantially lower than that of the Su-35S especially in the front sector, but the Sukhoi has sufficient power and a much larger antenna to partially overcome that difference. Both types are ‘networked’ so in a multi-ship engagement, the geometrical spread of the Su-35S flight in part negates the lower observability of the JSF by illuminating the JSF from angles where its low observability is weakest. Expect the F-35A to often get the ‘first look’, but the Su-35S flight to detect the JSF outside the range of the JSFs' BVR missiles. So where it matters, the limited low observability of the JSF provides little advantage. 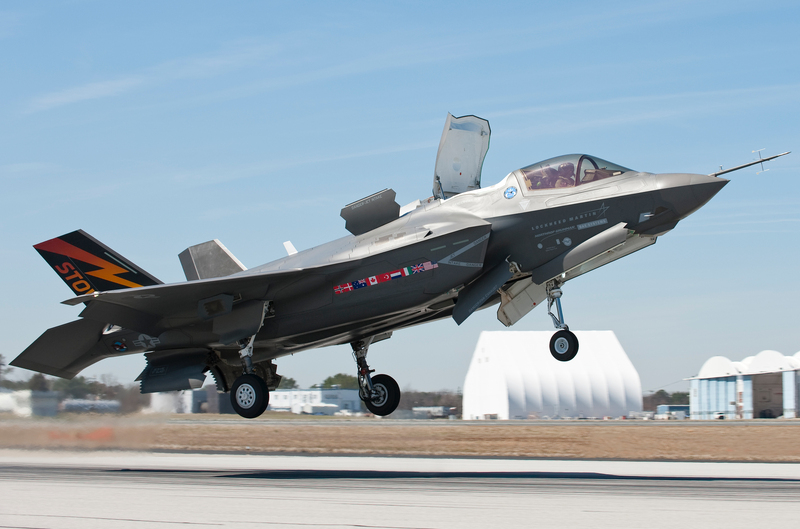 The F-35A is the conventional takeoff and landing (CTOL) variant intended for the US Air Force and other air forces. It is the smallest, lightest F-35 version and is the only variant equipped with an internal cannon, the GAU-22/A. This 25 mm cannon is a development of the GAU-12 carried by the USMC's AV-8B Harrier II. It is designed for increased effectiveness compared to the 20 mm M61 Vulcan cannon carried by other USAF fighters. The F-35A is expected to match the F-16 in maneuverability and instantaneous and sustained high-g performance, and outperform it in stealth, payload, range on internal fuel, avionics, operational effectiveness, supportability, and survivability. It also has an internal laser designator and infrared sensors, equivalent to the Sniper XR pod carried by the F-16, but built in to remain stealthy. The A variant is primarily intended to replace the USAF's F-16 Fighting Falcon, beginning in 2013, and replace the A-10 Thunderbolt II starting in 2028. The F-35B is the short takeoff and vertical landing (STOVL) variant of the aircraft. Similar in size to the A variant, the B sacrifices some fuel volume to make room for the vertical flight system. Takeoffs and landing with vertical flight systems are by far the riskiest, and in the end, a decisive factor in design. Like the AV-8B Harrier II, the B's guns will be carried in a ventral pod. Whereas F-35A is stressed to 9 g, the F-35B is stressed to 7 g. Unlike the other variants, the F-35B has no landing hook; the "STOVL/HOOK" button in the cockpit initiates conversion instead of dropping the hook. The British Royal Air Force and Royal Navy plan to use this variant to replace their Harrier GR7/GR9s. The United States Marine Corps intends to purchase 340 F-35Bs to replace all current inventories of the F/A-18 Hornet (A, B, C and D-models), and AV-8B Harrier II in the fighter, and attack roles. The USMC is investigating an electronic warfare role for the F-35B to replace the service's EA-6B Prowlers. One of the British requirements was that the F-35B design should have a Ship-borne Rolling and Vertical Landing (SRVL) mode so that wing lift could be added to powered lift to increase the maximum landing weight of carried weapons. This method of landing is slower than wire arrested landing, and could disrupt regular carrier operations. 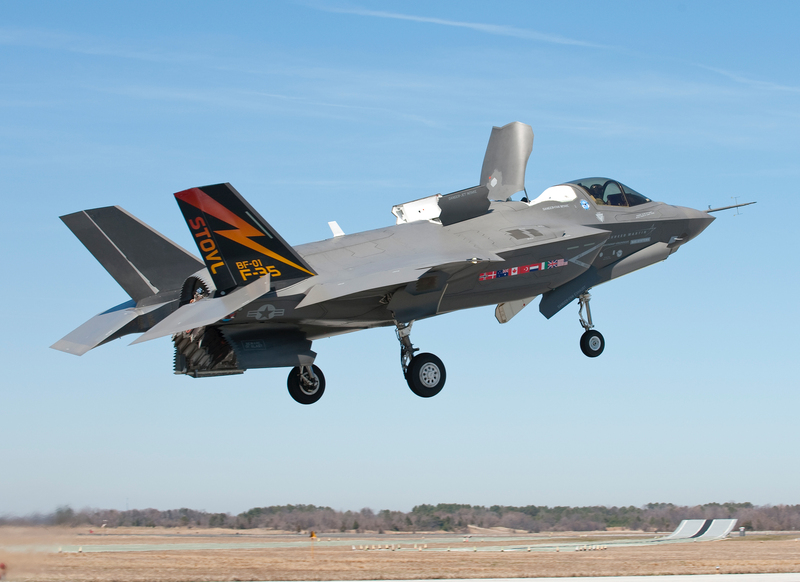 The UK are developing a SRVL method to operate F-35Bs from carriers without disrupting carrier operations landings as the landing method uses the same pattern of approach as wire arrested. With SRVL, the aircraft is able to "bring back" 2 x 1K JDAM, 2 x AIM-120 and reserve fuel. The F-35B was unveiled at Lockheed Martin's Fort Worth plant on 18 December 2007, and the first test flight was on 11 June 2008. The B variant is expected to be available beginning in 2012. The F-35C carrier variant has a larger, folding wing and larger control surfaces for improved low-speed control, and stronger landing gear and hook for the stresses of carrier landings. The larger wing area allows for decreased landing speed, increased range and payload, with twice the range on internal fuel compared with the F/A-18C Hornet, achieving much the same goal as the heavier F/A-18E/F Super Hornet. The United States Navy will be the sole user for the carrier variant. It intends to buy 480 F-35Cs to replace the F/A-18A, B, C, and D Hornets. The F-35C will also serve as a stealthier complement to the Super Hornet. On 27 June 2007, the carrier variant completed its Air System Critical Design Review (CDR). 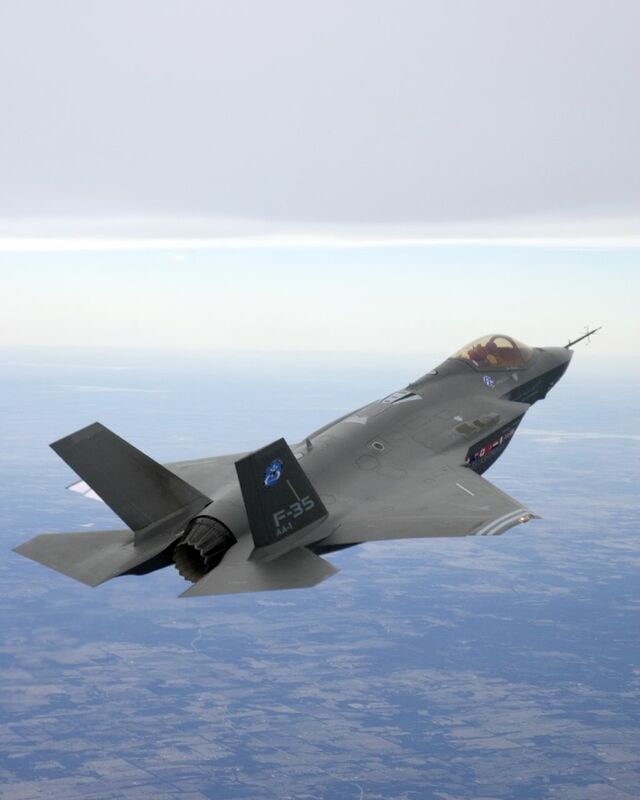 This allows the first two functional prototype F-35C units to be produced. The C variant is expected to be available beginning in 2014. The first production F-35C was rolled out on 29 July 2009.
s flung together in a desperate last minute attempt to avert a catastrophe of biblical proportions.